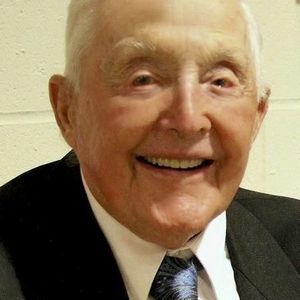 John "Jack" Sittarich, 88, Fairmount, ND, surrounded by his family, love and prayers, passed away on Sunday, May 5, 2013, at St. Francis Healthcare Campus, Breckenridge, MN. The Mass of Christian Burial will be on Friday, May 10, at 10:30 AM at St. Anthony's Catholic Church, Fairmount. Visitation will be on Thursday from 5 PM to 8 PM with a prayer vigil at 7 PM at Vertin-Munson Funeral Home, Wahpeton, ND. There will also be visitation one hour prior to the service at the church on Friday. Interment will be at Calvary Cemetery, Fairmount. Arrangements are entrusted to Vertin-Munson Funeral Home, Wahpeton. Jack was born September 20, 1924 at Breckenridge, MN, the son of John and Clara (Faulkner) Sittarich. He grew up on the family farm and graduated from Breckenridge High School in 1943. That same year he entered the Army Air Corps and served in the European Theatre. He was the member of the 9th Air force, 416th Bomb Group, 668th Squadron. His plane was shot down over Germany on March 18th, 1945, was captured and a POW until the end of the war. After his honorable discharge Jack returned to the Breckenridge area. He married Mary Jane Schmit on June 19, 1951, at St. Anthony's Catholic Church, Fairmount. The couple operated a dairy farm near Fairmount where they raised their seven children. He continued farming until 1996. Jack was a member of St. Anthony's Catholic Church, American Legion, and enjoyed gardening and sharing his produce with family and friends. He particularly enjoyed his military reunions which he participated in for many years. He enjoyed following his grandchildren in their activities and the companionship of his dog, Lady. Jack is survived by his wife Josie, rural Fairmount; seven children: Steven Sittarich, Fairmount; Jean (Dan Baumann) Sittarich, Wahpeton; Sue (Curt) Berg, Wahpeton; Connie (Marty) Madsen, Wahpeton; Kevin (Debbie) Sittarich, Fairmount; Brian (Shelly)Sittarich, Inver Grove Heights, MN; Myron (Kimberly) Sittarich, Janesville, WI; fourteen grandchildren, five great-granddaughter princesses; his sister, Marlene Sittarich, Duluth, MN; his brother, Roman Sittarich, Rock Springs, WY, his sister-in-law, Pat Sittarich, DePere, WI, and many nieces and nephews. He was preceded in death by his parents, two sisters, Kathryn and Madeline; four brothers, Clifford, Anthony, Robert and an infant brother. The beautiful and interactive Eternal Tribute tells Jack's life story the way it deserves to be told in words, pictures and video. Sorry to hear of the passing of Jack. I am honored to have know him as a Legion member during my time in Fairmount. Please accept my deepest condolences. Sue, Curt and Sittarich families, My thoughts and prayers are with you during the loss of Jack. I always remembered him with a smile on his face. He will always be an angel watching over you. What a funny, dear man! I have the best memories of him from the 416th reunions we all attended. He always asked me about my Mom, Norma Downing, and wanted to know how she was doing. There was a running joke about her, and her reference to him as the "Cow Man." She loved the way he loved his cows! He and his sense of humor will truly be missed. Jack always brought laughter and a smile with him. He touched many lives and we are grateful that we got to know him. May the love he had for life and family sustain you in your sorrow and take comfort in knowing he is with our Heavenly Father. Our sympathy to all the family. Jack was so full of life, so much fun to be around. We feel your loss--you are all in our thoughts and prayers. May God give you comfort at this difficult time. Rest in peace Jack. Our condolences to the entire family. You are all so dear to us. You are all in our thoughts and prayers during this difficult time. Jack was a great man! We feel blessed to have gotten to know him better over the years. Weather it was a wedding dance in the Cities or a tour of his garden sent back to Denver with more than we could ever eat he was always willing to share his spirit for life, a smile, and a laugh. He always made you feel good. We will miss him... God Bless You Jack, Rest in Peace. Wayne was in the 668th BS with Jack in WWII in Europe and enjoyed his companionship at many reunions after our WWII days. Wayne has many happy memories of his friendship with Jack.